UPDATED: May 4, 2017 at 10:00 p.m. The collaboration policy in Harvard’s flagship introductory computer science course was sufficiently vague that students accused of academic dishonesty may have unintentionally violated it, according to former students and course staff. The Crimson reported Wednesday that more than 60 undergraduates enrolled this fall in Computer Science 50: “Introduction to Computer Science I” faced the Honor Council, the administrative body charged with adjudicating issues of academic dishonesty. The wave of academic dishonesty cases stretched the Honor Council to its limit and represents a marked increase in cases from the course this year. Though the course sums up its policy on academic integrity as “be reasonable,” roughly 20 former students and course staff said it was sometimes difficult to determine exactly what that meant. One student, whom The Crimson has granted anonymity to discuss confidential Honor Council proceedings, took the course last fall and was subsequently called before the Honor Council. The student said he thought the help he had given his friends fell well within the course’s collaboration policy. Some former students and course staff for CS50 characterized the course's collaboration policy as vague. Consistently one of the most popular courses at Harvard, CS50 is known for an unconventional atmosphere, complete with puppets, flashy promotional videos, and corporate-sponsored events. The course holds crowded office hours several times a week, and encourages students to seek help from course staff, as well as feedback from their peers. CS50 head instructor David J. Malan ’99—who met with Honor Council members to discuss academic integrity within the class—did not respond to repeated requests for comment for this story. “The class is intended to be very collaborative, very ‘work with your friends, stay up late all night, listen to music,’ and it’s all a big party except you also hate yourself because the p-set is due in an hour,” Mark D. Grozen-Smith ’15, a former CS50 Teaching Fellow, said. Eighteen former CS50 students, though, said they thought this line was unclear at times. Diondra A. Dilworth ’18, who took CS50, said students new to computer science risk unintentionally coming across answers online when trying to look up information. “It's really common for people in the computer science field to look to the internet for help, because it is a computer field. For younger users, it might be more difficult to discern what is information that's pushing them in the right direction, and information that’s just actually solving the problem,” Dilworth said. Dilworth was also skeptical that the dozens of students who faced Honor Council investigation were intentionally cheating. In some cases, code for CS50 problem sets are available online. “I don’t think people are, like, trying to cheat or anything, it’s encouraged to look for help elsewhere, and sometimes that help just gives you too much of the answer,” she said. One Teaching Fellow for CS50, who was also granted anonymity to discuss academic integrity cases, agreed that the the policy was too vague. Derek M. Taylor ’20 said that while he thought instructions from the teaching staff could have been more specific, he is skeptical that there is a clear solution to the policy’s perceived vagueness. Grozen-Smith took a similar stance, defending the policy’s open-endedness. 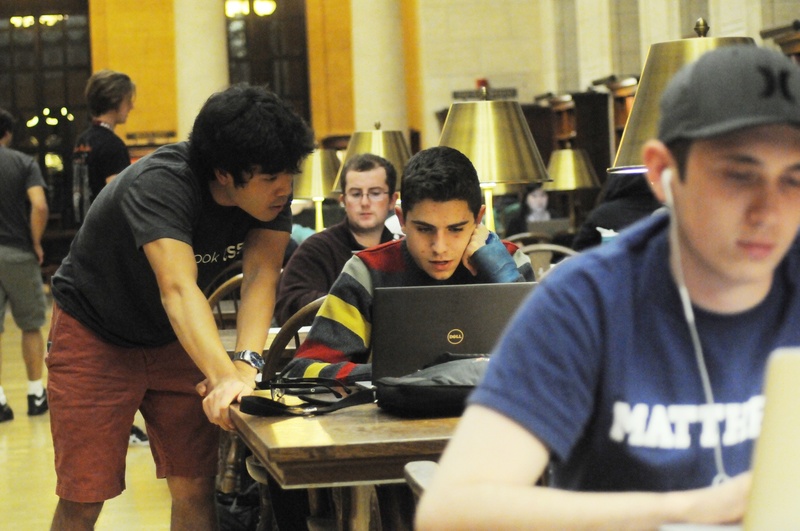 Raphael Rouvinov ’19, a CS50 Teaching Fellow, said CS50’s course policies are fairly standard across all computer science courses at the College. Yoav Shaked ’17 also said that getting in trouble with the course was easily avoidable. “The teaching staff in CS50 is extremely talented. There's so many resources out there for you there's no reason to dodge the system,” Shaked said. —Staff writer Hannah Natanson contributed to the reporting of this story.